A man claims he lost all the toes on one foot after his doctor unnecessarily amputated it. Joseph Frailey filed a lawsuit Nov. 20 in Madison County Circuit Court against John E. Lindsay. In his complaint, Frailey claims he visited Lindsay for a revision of a previous bunion surgery after he developed an infection in his foot. In turn, Lindsay performed a transdermal amputation on Frailey’s foot on Nov. 24, 2010, according to the complaint. Frailey claims the surgery was unnecessary. Because of Lindsay’s actions, Frailey has suffered severe pain, incurred medical costs for additional treatment and endured disability and disfigurement, the suit states. He also lost his enjoyment of life, the complaint says. Frailey blames Lindsay for causing his injuries, saying Lindsay negligently failed to properly evaluate his medical condition, failed to adhere to the advice of an infectious disease physician, performed an unnecessary amputation and failed to advise Frailey that his infectious disease specialist did not recommend the amputation. In his complaint, Frailey is seeking a judgment of more than $50,000, plus costs. 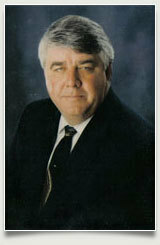 Terry N. Brown of Brown and Associates in Belleville will be representing him. Madison County Circuit Court case number: 12-L-1907.